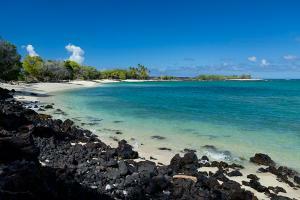 If you're looking for nightlife and a fun beach vibe, make the island of Oahu your first stop. Hawaii's most populous island is home to the city of Honolulu and Waikiki Beach, one of Hawaii's most popular resort destinations. Here you can find nightclubs and live music, quirky beach bars, fine dining and shopping - and an excellent beach, of course! History buffs can learn more about the kings and queens of Hawaii's rich royal past, or visit Pearl Harbor and tour the USS Arizona Memorial. Oahu's attractions don't end at Waikiki. The North Shore of the island is a surfer's paradise, with world-famous surfing beaches that host many of the world's top competitors. Less developed than the more cosmopolitan Waikiki, this area is home to some luxurious, secluded resorts, perfect for the discerning traveler searching for a quiet getaway. 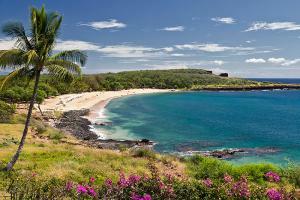 Maui is the perfect couple's getaway, with luxurious, sprawling resorts and a quiet, laid-back atmosphere. There's no better island on which to spend a lazy day on the sand, share an intimate meal and watch the sunset - maybe even catch Maui's fabled Green Flash! Stroll through the historic old whaling town of Lahaina, or set out on a whale watching cruise to see these gentle creatures up close. For a more adventurous day, discover the road to Hana, a famous stretch of highway that winds and curves along the coast and through lush green rainforest. 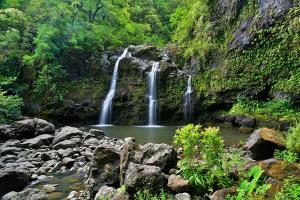 Play a round on one of Maui's many golf courses, or hike up to some of the island's breathtakingly beautiful waterfalls. Kauai is an island that must be seen to be believed, a lush green jewel in the Pacific Ocean filled with deep forests, raging waters and towering cliffs. Almost like something from a movie - and indeed, Kauai has played backdrop to many - this island is filled with breathtaking natural scenery in every direction. Helicopter tours offer a unique and unparalleled look at the spectacular beauty of Kauai from above. Adventure travelers may find themselves with more options on the island than time! 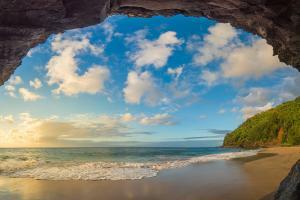 Kauai offers excellent hiking for all ability levels, ziplining, kayaking, off-roading and so much more. If you've ever wanted to sip a tropical drink on a sunny beach, swim in a rainforest pool, explore an active volcano and even go skiing, all in the same vacation - the Island of Hawaii is the island for you. The largest of Hawaii's islands offers a staggering wealth of experiences for every taste, a variety to which many travelers find themselves returning, year after year. Kilauea, the volcano that shaped this unique island, is currently active. Visitors can hike or drive up to the steaming crater, or head down to the sea to watch the billowing clouds created when flowing magma hits cool ocean waters. Ancient lava fields cover miles of the island, creating a unique landscape perfect for a day's drive, and the rich volcanic soil of the island makes the island's interior a patchwork of farms and plantations - don't leave before picking up your own bag of locally-grown and roasted Kona coffee! Known as Hawaii's Most Enticing Island, Hawaii's Private Island and the Pineapple Island, Lanai offers spectacular beaches, lush forests and sweeping vistas as far as the eye can see. Whether horseback riding amid scented pines or playing golf on a course where the most challenging water hazard is keeping your eyes on the ball and away from the island's stunning scenery, Lanai is a playground for people who like their vacations a bit more secluded.